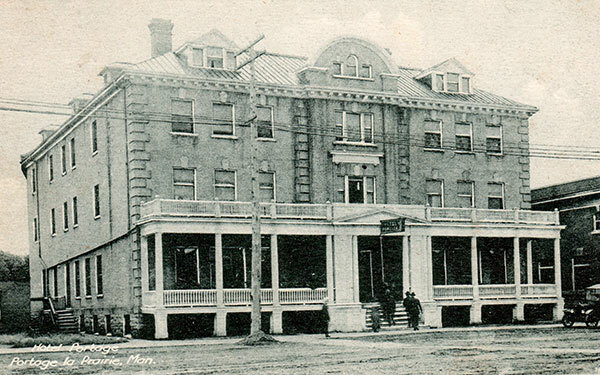 This historic hotel on Saskatchewan Avenue in Portage la Prairie was built in 1905, at a cost of $50,000, by local brick manufacturer Henry Stephens. Considered state-of-the-art for its time, the hotel featured a restaurant and bar, and a telephone in each room. It was destroyed by fire on 31 August 2006.